For something different, lounge and relax on a secluded beach snacking on picnic treats and drinking fresh tropical juices and smoothies. We’ll set up your picnic complete with rug, beach chairs, and umbrella. All you have to do is decide on which swimsuit to bring. 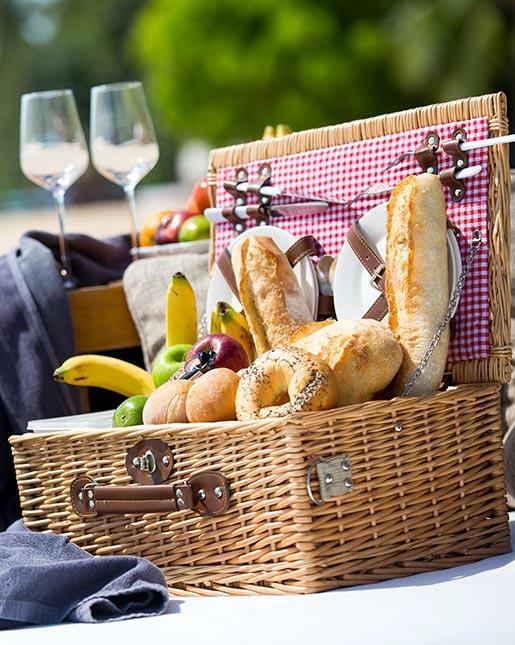 Spend a lazy afternoon picnicking in seclusion and style with family and friends.